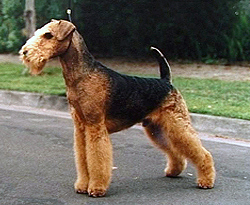 Big Dog Breeds are the most numerous group of animals in the world. They were first developed for only two purposes: Hunting and Farming and many can trace their roots to ancient times. Hunters needed them to help find and retrieve game. Farmers needed their help to protect, guard, and herd the livestock. 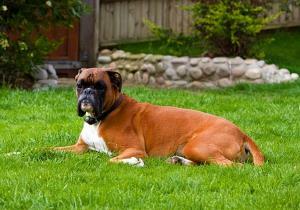 Today, big dog breeds are some of the most popular dogs on earth. This is one group of canines that have helped people since antiquity. 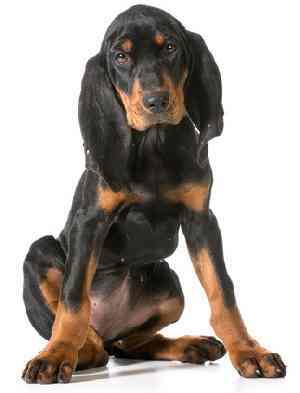 While developing these breeds, our forefathers taught them to be reliable, obedient, and easy to train. It is no wonder that dogs such as the Labrador Retrieve, Golden Retriever, and German Shepherd are some of the most loved dogs, even if they are no longer hunting or herding. Gun dogs love working with people. Think: Spaniels, Setters, Pointers and Retrievers. 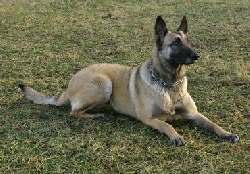 The German Shepherd has gone from helping farmers to helping police and serving in the military. From search and rescue to guide dog to therapy dog, most people will agree that this is an all-round great breed able to follow directions, yet work on their own at the same time. 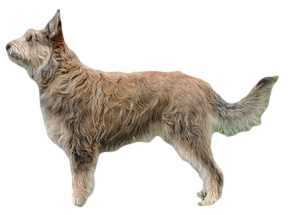 A lowly farm hand, the German Shepherd has gone onto achieve world wide recognition as a "must-have" breed. All the farm hands listed below were great at protecting livestock from wolves and other predators. If they didn't work on a farm, they made a great hunter in one aspect or another. 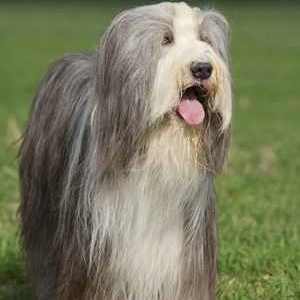 While somewhat aloof, they are affectionate and loyal and extremely exuberant with energy to spare. They make great guard dogs, but do not do well as companions. They have protected herds of sheep and goats for Moroccan nomads since the Middle Ages and have even been used for hunting. Having possibly descended from the warrior mastiffs that accompanied Roman soldiers into Switzerland some 2000 years ago, this dog has become a versatile farm helper. 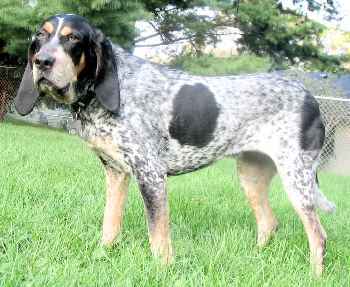 Also known as the Appenzeller Sennenhund, they can pull small carts and also work cattle. 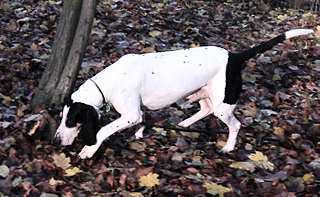 Here is an easy going, affectionate breed developed in the Ariege area of France for hunting, but now they are household companions. Red, Red merle, blue merle, black, solid or with white. 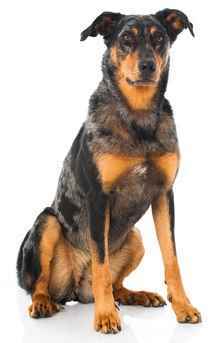 Despite the name, this breed originated in the USA and is virtually unknown outside of the country. 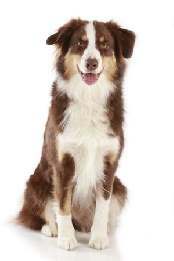 Needing a herding dog that could work in varied climates, California breeders worked to create a breed from collies and sheepdogs from Australia and New Zealand. Today, they are great companions and adapt exceptionally well to family life. Some are being dwarfed down to create a miniature Australian Shepherd. He may be short, but he's muscular and strong. With long backs and ears, back problems are common. They are excellent hunters, but most just lounge around the house. Here is a dog with a sense of humor! 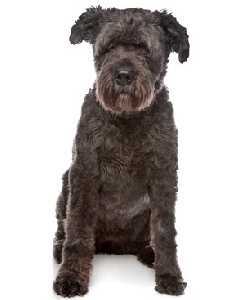 They are friendly and good with children, but be ready for to spend considerable time in your grooming room. They have high maintenance coats. With a history of hunting and boar herding, today they are kept as family pets and guard dogs. 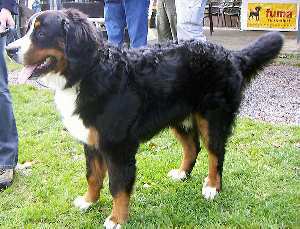 They are a powerful big dog breed and may not do well with other dogs. 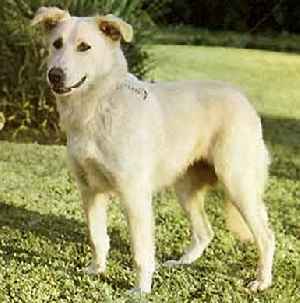 Rare in most parts of the world, the majority of these dogs live on farms in northeastern France. There, they herd and guard sheep, but sadly, these dogs are on the verge of extinction. Here is an easy going family member that is both good with other pets and devoted to children. They make a great watch dog, but are not very protective despite their size. 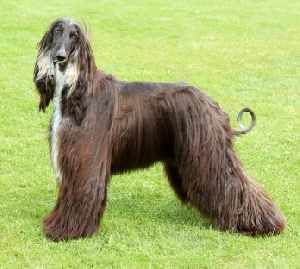 We've included them in our big dog breed pages, but they could easily be considered an extra large or giant breed. 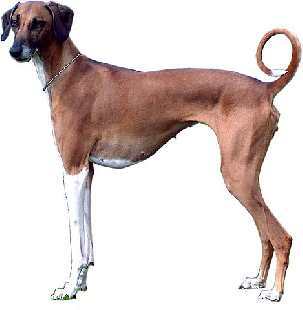 Developed in Louisiana, they are likely descended from hunting hounds from Gascony, France. They make good guard dogs, but don't always get along well with other dogs. Best know for their cattle herding ability, they are now mostly family companions. Bouncy, energetic, and fearless, this is one breed that makes an excellent family pet even with young children. They may have an intimidating appearance, they are gentle with children but make a great house protector. 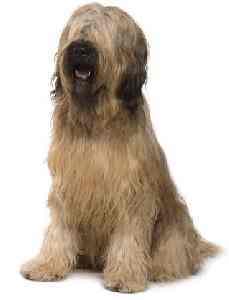 The Briard is one of France's most popular companion breeds. 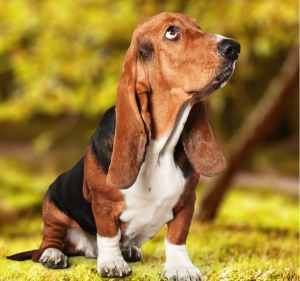 Breeders have worked hard over the last 50 years to eliminate shyness and aggression, so they are now well-mannered and fun pets. Here is a lovable, if low energy dog, they make great companions and family dogs despite their bull-baiting beginnings. Early on, the bulldog would hang onto the bull regardless of any injury, but the sport became illegal in 1830. You will never win a tug of war game with these guys, but it's fun to try. A very unique looking breed, they were first developed to fight. 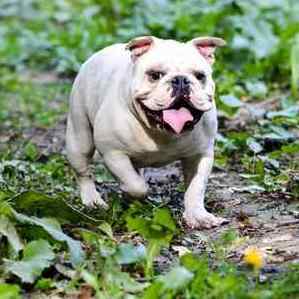 Developed in the early 19th century, by crossing bulldogs with the now extinct White English Terrier, they became fighting dogs . This cruel sport was banned in England by 1835 and became illegal in most countries, soon thereafter. 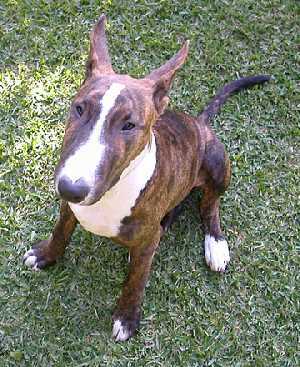 The bull terrier is considered a big dog breed, but they also come in a smaller size, Miniature Bull Terrier.